Conservation biologist with over 20 years' experience in high mountain ecosystems of Western China and Central Asia. Special interest in integration of conservation and community development, with focus on pastoral societies. Founding Director of the NGO Plateau Perspectives, and Associate Director of Mountain Societies Research Institute, University of Central Asia. 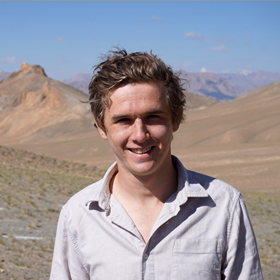 Entomologist with nearly 10 years of experience in Central Asia's vast mountainous ecosystems. Currently researching the use of Parnassius spp. as climate change indicators as well as using petroglyphs to map historical distributions of rare megafauna in Kyrgyzstan. Lecturer at American University of Central Asia's Environmental Management and Sustainable Development Department. Conservation biologist whose research combines environmental monitoring with policy analysis, particularly surrounding governance and management of commons rangelands & protected areas. Currently working on a number of research and development projects related to community involvement in conservation in Central Asia.